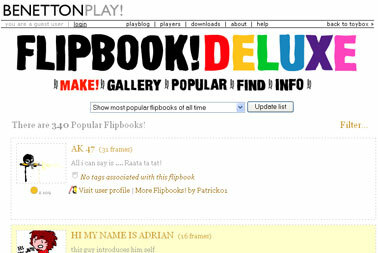 A new version of the already successful flipbook! by Juan Ospina. Colors and different stroke widths have been added to give Flipbook! a wider range of expression. Another extra tool is the 'duplicate frame' button which makes the animation job a lot easier.